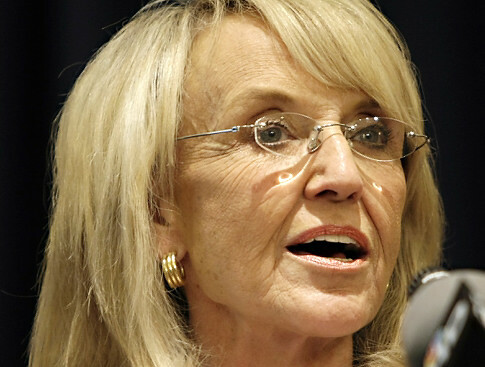 Last April 23, 2010, Arizona Governor Jan Brewer recently signed into law the most severe immigration policy in the US that authorizes state law enforcement officials to stop anyone and ask for proof if they’re in the state legally. So what does an “illegal immigrant” looks like? I’m not alone pondering this important but challenging question. Many blogs are asking the same thing. It might be problematic in identifying objectively what an “illegal immigrant” looks like since the second largest immigrant population in Arizona are Canadians (Migration Policy Institute). The top three countries of birth of the foreign born in Arizona were Mexico, Canada and the Philippines. Of the total immigrant population in Arizona in 2008, 65.6 percent were born in Mexico, 3.6 percent in Canada, and 2.0 percent in the Philippines (Migration Policy Institute). Even AZ Gov Jan Brewer doesn’t know what an “illegal immigrant” looks like as she responded to this question in a recent press conference announcing this draconian immigration law. In response to the law, the Mexican government warned its citizens living in or traveling to Arizona that they could be “harassed” there because of its new immigration law (New York Times). Will the Canadian government do the same to protect its citizens as Canadians are the second largest immigrant population in Arizona? This entry was posted in Immigration, undocumented immigrants and tagged Arizona, Immigration, racial profiling, undocumented immigrants. Bookmark the permalink. I say, let’s get those damned Canadians off the streets! In fact, Mexico warned its citizens in AZ of harassment due to new immigration law. Will the Canadian government do the same as Canadians are 2nd largest group in AZ? 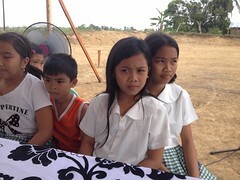 “What do you think of this article by Michelle Malkin (she of Filipino parents)? the law and our borders seriously to protect the health, safety, and welfare of our citizens first. Dale, anything wrong with “citizens first”? Anything wrong about being “anti-illegal”? I responded that The US should remain a nation of laws but regarding this law, my biggest concern remains regarding the enforcement of the law fairly and objectively. Canadians and Filipinos are the three largest immigrant groups in Arizona. status, legal or illegal, Jew or non-Jew. I wait anxiously on how the Arizona legislature would enforce this new immigration law fairly to all – Mexicans, Filipinos and Canadians.